Julie Tuyet Curtiss (b. 1982) is a French-Vietnamese painter who lives and works in Brooklyn, NY. Her graphic style, bordering on illustration, conjures Chicago Imagism, comic books and 20th century Surrealism. She graduated from École Nationale Supérieure des Beaux-Arts in Paris, France, in 2006, where she received an ERASMUS grant to study abroad at Hochschule für Bildende Künste in Dresden, Germany, in 2004. She also received a Louis Vuitton Möet Hennessy Award for young artists, to study at the School of the Art Institute in Chicago from 2005-2006. Upon graduating from École Nationale Supérieure des Beaux-Arts, she moved to Tokyo and lived there for a year, which was a pivotal moment for her artistic development. Influenced by the local art scene and Japanese graphic imagery, she started a new body of work focusing on drawing, which sparked her current practice. 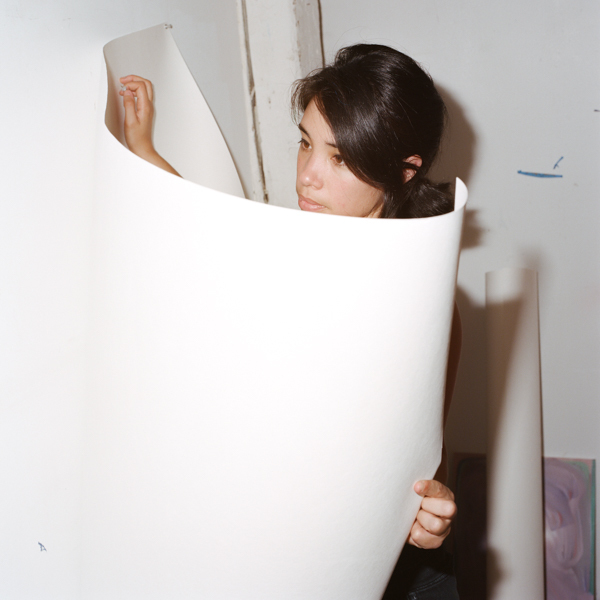 After a brief return to France, she settled in Brooklyn in 2010 and received a Van Lier Fellowship from the New York Foundation of the Arts in 2012, for immigrant artists. Julie shows her works in the New York city area and Paris, France.